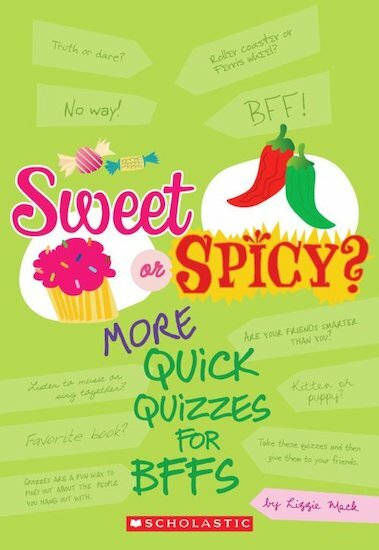 Quick Quizzes for BFFs: Sweet or Spicy? 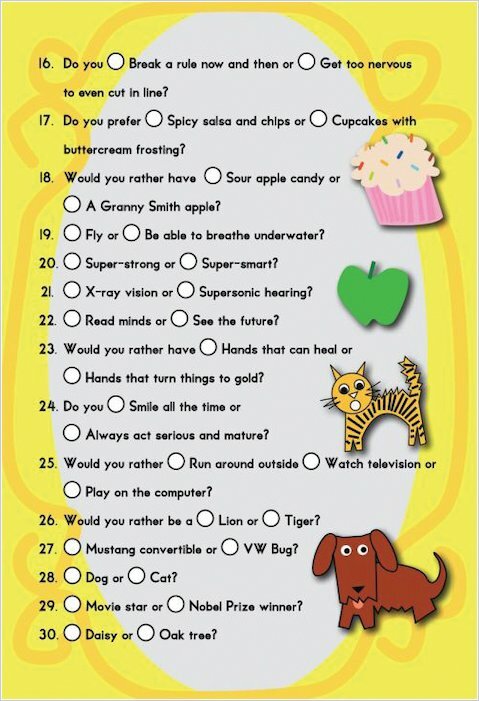 Share your juiciest secrets with your best friends using this book of fab quizzes. Sweet or spicy? Cool or cringey? Naughty or nice? Tell all! In the grand tradition of the Cosmo quiz, this funky book is designed to help all you best friends extract the most intimate secrets from each other. It’s got all the essential topics, from first crushes to your most outrageously embarrassing moments ever. Sleepovers, school trips and rainy days are not complete without it! i used this book at my sleepover and it was outstanding.